Considering rescuing a pet? Pets Training & Boarding have some top tips to help you adopt a pet. PLUS: we catch up with Cathy Beer a pet rescue advocate and founder of Pets4Life. Rescuing and adopting a pet can be one of the most rewarding experiences in life and those loving pet owners who have offered their lives as ‘forever homes’ have been given a wealth of love from a precious companion animal. The heartfelt rescue stories are an endless source of happy-tears and many Kleenex moments! Meet Cathy Beer, she’s turned her career into helping animals who need to find their forever homes and also recognising the two-legged variety who work tirelessly to rehome endless pets around Australia. Like with all pets it’ s important to consider a few things before going out to find your perfect companion. Breed – research your desired breed and check that the traits for that particular breed, match with your lifestyle. 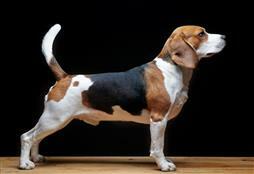 Dog breeds, in particular, will need different levels of activity and training. Time – do you have the time to dedicate to your new pet? Training, and exercise is very important, particularly with dogs. Existing Pets – how will your existing pet take to your new pet? Some shelters offer to meet and greet so you can see if your new furry ball of joy will get along with your existing dog. Remember with all introductions go slow. Environment – is your home ready for a puppy or kitten? Check fences and find a secure area you will keep your new addition while they get used to their new environment. For cats, a room works well, for pups and dogs, ensure you have good fences and consider a penned area. There are many benefits to adopt a pet from a shelter or rescue situation. Rescuing an older pet also has huge advantages as most times, these animals are also toilet trained and house trained. However, if you are looking to adopt a puppy or adopt a kitten, there are many looking for new homes of all different breeds, shapes and sizes.